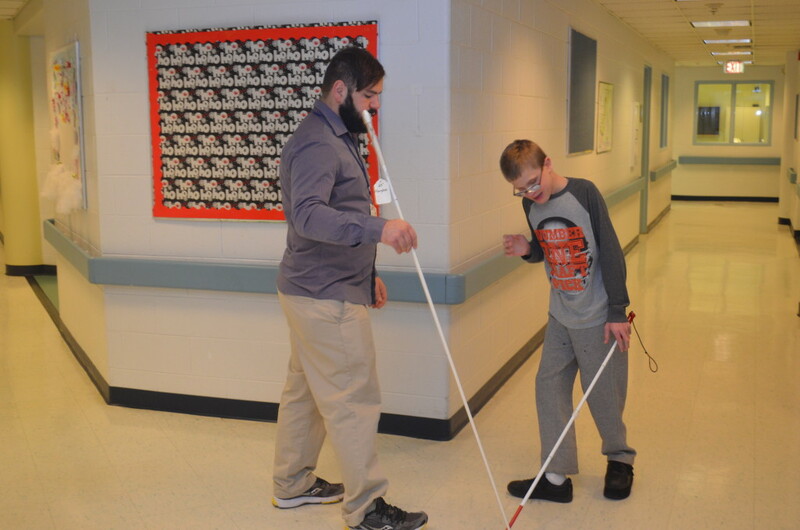 Orientation and mobility training helps clients who are blind or visually impaired develop skills and techniques for safe, effective and efficient travel. Specialists work one-on-one with clients to make sense of their surrounding by enhancing environmental, bodily and spatial awareness. Clients also learn techniques to utilize remaining vision in conjunction with auditory, olfactory and kinesthetic senses to experience the world more in a more meaningful way. Clients receive training on various tools for independence, including white canes, dog guides and electronic travel aids. We offer orientation and mobility services to people of all ages in the Chicagoland area, including those who use wheelchairs or other mobility aids, as well as those who are are deaf-blind or Spanish-speaking. Orientation and mobility specialists can facilitate lessons in nearly any environment where a client wishes to travel more independently. Common environments for training include the workplace, a university campus, routes to school, grocery stores, banks and neighborhoods. Lessons are taught indoors, outdoors, in a variety of weather conditions, during the day and at night.